It seems that American audiences will get a chance to view David Tennant's romantic comedy The Decoy Bride after all as US cable provider IFC has indicated that the film will be available on demand through its cable service from 3rd February 2012. The promotional poster also advertises the film's arrival in US cinemas on 9th March 2012. Admittedly there is little other information on the IFC website at present, but it is possible to check availability of the service in your area. UK audiences have also been given a cinematic release date of 9th March 2012, with the DVD following shortly after on the 12th March. You can pre-order the Region 2 release of the film through our shop. Working Title TV have a page on new BBC drama Love Life which is due to be show sometime in Spring 2012. The page has a brief synopsis of each of the five episodes and some new pictures. 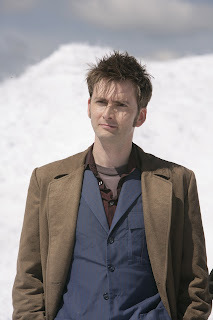 David Tennant stars as Nick in the first episode. BBC Radio have chosen their Boxing Day production of the Pied Piper Of Hamelin, narrated by David Tennant to be their Play Of The Week. The weekly selection is available for download for the next seven days. Download the production and subscribe to future Play Of The Week podcasts here. Just a quick reminder that Earthflight, the brand new wildlife documentary series from the BBC has its first showing on BBC1 at 8pm tonight. 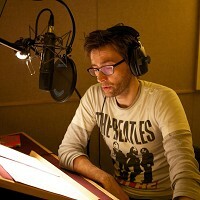 The series is narrated by David Tennant and is made by John Downer Productions, the company also behind Polar Bear: Spy On The Ice and Swarm: Nature's Incredible Invasions. Both the Telegraph and the Mirror have preview features on the series today, while the Guardian explores the series in pictures. Earthflight is due to be released on DVD and region-free Blu-ray on 5th March 2012 and can be pre-ordered through our store. The BBC America show The Nerdist Year In Review, including Chris Hardwick's interview with David Tennant is now available to purchase via iTunes. Please note that this link has not been tested for buyers outside of the USA. However, as we reported previously, Chris Hardwick has made the full, unedited version of his chat with David available as a podcast from the Nerdist website. The conversation lasts over an hour and can be downloaded for free. As 2011 draws to a close, Digital Spy have already looked ahead and compiled a list of their 20 most hotly anticipated TV programmes of the coming year from both sides of the Atlantic. Number 18 on their list is Love Life, the semi-improvised Dominic Savage drama which stars David Tennant along with a veriatable Who's Who of British acting talent, including David Morrissey, Vicky McClure, Billie Piper, Jane Horrocks and Ashley Walters. David features in the first of the five interlocking stories set in the English seaside town of Margate which explore love in the modern age, placing the protagonists at the heart of a moral dilemma. It is expected to be shown early in 2012. The Challenge is ongoing! The One Difference Christmas Campaign has now been extended till the 12th January 2012. Wow! Father Christmas has agreed to extend the One fan = One Child's meal in Malawi until the end of Christmas, so please continue to share, become a fan or follow us on twitter @onedifference until 12th night. We'd love to reach our target of 100k childrens meals, but the thousands we have already achieved is brilliant. Thanks for everyone's help and support so far, have a great Christmas and New Year and let's see how many more kids we can feed. Do One Good Thing this holiday season! Support the campaign by following @onedifference on Twitter or liking the Facebook page. Seasons Greetings to all of our readers and supporters. Have a great day! As we posted previously, David Tennant was interviewed by Chris Hardwick of Nerdist fame to feature in the Nerdist TV Year In Review TV Special which airs tonight on BBC America. In addition, Chris has stated that he will post the full chat with David from the show on the Nerdist podcast shortly after the show airs. 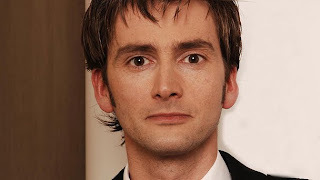 A couple of new pictures of David Tennant have appeared online. It is believed that the photos were taken by Dreamworks in 2010 to promote Fright Night, but so far only a few of them have been seen in the interview with David published in Toronto Now magazine. The BBC have released some clips from their brand new wildlife documentary series Earthflight, narrated by David Tennant. The series from John Downer Productions features extraordinary footage of birds in flight, shot from the air. The first clip shows migrating Snow Geese on the approach to New York, while a second is a pelican's eye view of rays as they leap out of the water in their own version of flight. For every new like @onedifference or new twitter follower before Christmas, a Trustee of The One Foundation has agreed to fund a meal for a child in Malawi. We’re aiming to feed 100,000 children, so please help us spread the word. Simply like @onedifference, one click makes all the difference. For more information see the One Difference Facebook page. Thank you for doing one good thing. The Guardian newspaper have today released an audioclip of David Tennant in converation with Lucy Fleming, niece of Ian Fleming, the creator of the magical flying car Chitty Chitty Bang Bang. David's latest audiobook release is a recording of the first authorised sequel to the classic children's tale, Chitty Chitty Bang Bang Flies Again, written by Frank Cottrell Boyce. David was asked by the Fleming family to give voice to the book. In the interview, David prraises the well-rounded characters created by Boyce and describes the story as ‘very clever, slightly surreal and hugely readable'. He also talks about his memories of the original story and the film, his own past cars and hints that Boyce has peppered the tale with a few nods towards James Bond, Ian Fleming's other infamous creation. You can listen to the clip via the Guardian's online Books page. The full interview will be available with the audiobook which is now available though audible.co.uk and iTunes. David Tennant's newest audiobook recording, Chitty Chitty Bang Bang Flies Again, is now available to download. David recorded the adventure story written by Millions author Frank Cottrell Boyce only a few weeks ago, but the publishers, Macmillan Digital Audio have released the title just in time for Christmas. 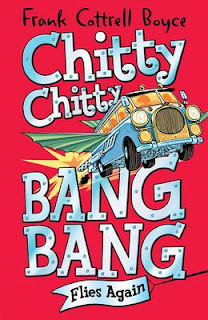 The first ever sequel to Ian Fleming's Chitty Chitty Bang Bang, written by bestselling author Frank Cottrell Boyce and endorsed by the Fleming family. 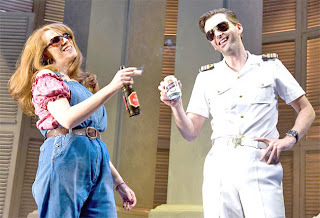 To celebrate the release last week of David Tennant and Catherine Tate's sensational West End hit Much Ado About Nothing by Digital Theatre, Time Out magazine are offering readers a 20% discount when they buy the download. All that is necessary is to purchase the play as a full download (standard or HD) or a rental from the Digital Theatre site here, and then enter the code TIMEOUT when completing the purchase. As previously reported David will be featured on Catherine Tate: Laughing At The Noughties tonight on Channel 4 10:00pm and 4HD, it's repeated on 4+1 at 11:00pm. British comedy threw many unusual shapes between 2000 and 2009. Catherine Tate’s longform survey of the hits of the decade is hefty enough to stick with. A selection of great clips is punctuated by Tate interviewing — in the loosest possible sense — people like David Walliams, Rob Brydon, Noel Fielding and Alan Carr about what made their shows fly. And Tate’s former Doctor Who co-star David Tennant quizzes Tate about her own comic creations. 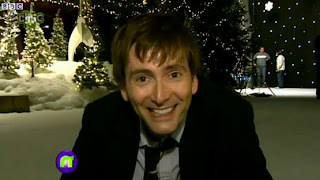 As we previously reported David Tennant will be a guest on BBC America's The Nerdist: Year In Review on Christmas Eve. BBC America have uploaded the above trailer and there's a quick glimpse of David on there. Celebrate all things Nerdy, Geeky and all-out Dweeb-y from 2011 with the launch trailer for the all new Original Special THE NERDIST: YEAR IN REVIEW *** Premiering Saturday Dec 24 at 9/8c*** immediately following DOCTOR WHO: BEST OF THE CHRISTMAS SPECIALS at 8/7c, only on BBC America. The Nerdist: Year In Review is the first of BBC America's five all new Nerdist Specials based on comedian, writer, Doctor Who fan and web pundit Chris Hardwick's immensely popular Nerdist podcast, the Internet's Top Ranked Podcast. Bewitched by Edith Wharton. Saul still goes out to see his previous girlfriend...even though she died years ago. Drink My Blood by Richard Matheson is about a young schoolboy whose only ambition in life is to become a vampire. The Girl With The Hungry Eyes by Fritz Lieber concentrates on the magnetic power of the vampire. A Lot Of Mince Pies by Robert Swindells focuses on a group of carol singers who visit the same cottage every year. The Lady Of The House Of Love by Angela Carter a virginal English soldier, travelling through Romania by bicycle, finds himself in a deserted village. 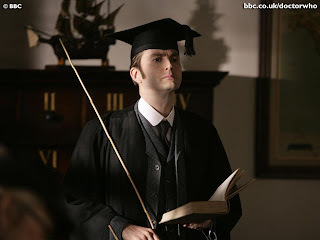 If you'd like to listen to some more vampire themed stories read by David visit our audio section here, where you'll find a huge collection David Tennant audio files! A number of costumes from Doctor Who were sold today at an auction of entertainment memorabilia at Bonhams in Knightsbridge. 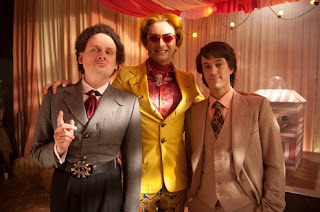 Among these were four outfits worn by David Tennant in the third series episodes Human Nature and Family Of Blood, where the Doctor was forced to hide out on Earth in human form. It's time to vote for the most stylish British man of 2012. Naturally David Tennant is among those listed by GQ.com and voting is open now. For details about the poll click here. To vote click here. Results will be posted online and in the magazine in early February 2012. David Tennant is narrating a BBC Radio 4 production of The Pied Piper Of Hamelin, adapted from the classic poem by Robert Browning. The production stars teenage actor Bertie Gilbert and features music by chorister Thomas Platts and the choir of Wingham School in Kent. The Pied Piper Of Hamelin is broadcast on Boxing Day at 11.30am. 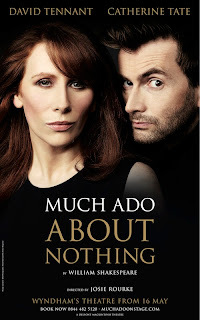 After a series of teasing tweets last night, Digital Theatre have made Much Ado About Nothing, starring David Tennant and Catherine Tate, available as a digital download from today (13th December). The play is available as a rental download at £5.99, or to keep at £8.99, with a HD option at £10.99. 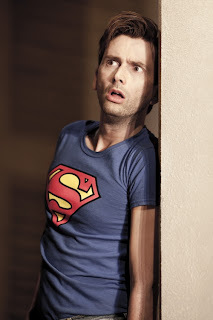 The nominations for the British Comedy Awards 2011 were announced earlier tonight, and a couple of David Tennant's projects are in the running for prizes. Sky TV's This Is Jinsy, the surreal show created by Justin Chubb and Chris Bran, was nominated for Best Sketch Show. David played the ultra-camp plastic surgery addict Mr. Slightlyman in the first episode, Wedding Lottery. Twenty Twelve, the spoof documentary series from the BBC focusing on the trials and tribulations of the British Olympics Deliverence Committee, received two nominations: Best New Comedy and Best Sitcom. Hugh Bonneville, who plays the head of the committee, Ian Fletcher, also picked up a nomination for Best Comedy Actor. David provided the voiceover for the series, which he apparently recorded down a digital phone from America while shooting Fright Night. "David Tennant narrates a celebratory look at how an ogre with a Scottish accent single-handedly changed the face of animation. 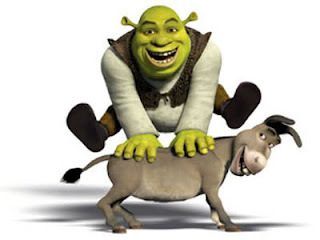 It features exclusive interviews with the creative geniuses behind the award-winning animation and the voices that brought the story to life, including Cameron Diaz, Antonio Banderas, Jennifer Saunders and Shrek himself, Mike Myers." The programme will air on BBC3 at 9pm on Friday 23rd December. 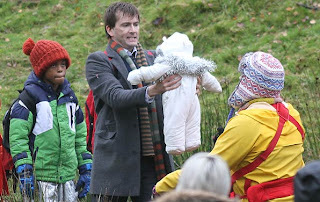 Nativity 2 is due to hit UK cinemas on November 23rd 2012. David Tennant completed work on the film just over a week ago with final scenes shooting in Stratford-upon-Avon town centre (see above, with Joanna Page) and the Courtyard Theatre. The semi-improvised film also stars Joanna Page, Ben Wilby, Pam Ferris, Marc Wootton and Jason Watkins and was directed by Debbie Isitt. Absolute Radio have posted a clip of David Tennant on stage with Breakfast Show DJ Christian O'Connell at Monday night's Beer and Cake Club. Christian had previously played some audio clips on his show of David stumbling over his words and claimed he was drunk on just a couple of beers! 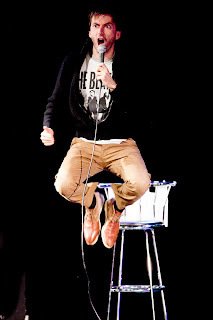 The video clip shows David's disbelief at performing on stage after drinking. 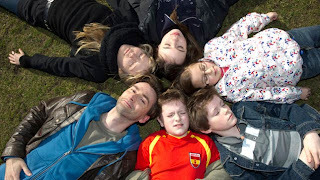 David Tennant's four-part drama Single Father will have its debut broadcast in North America via Toronto-based channel TVO. The series will run as part of the channel's January season and will air on Sunday nights at 10pm ET starting on 8th January 2012. In the past TVO have aired a number of imported British programmes uncut, including Doctor Who. Although Ontario-based it can be picked up in other provinces and in some of the North-Eastern states of the USA. The book by Frank Cottrell Boyce is a new story about the flying car created by the late Ian Fleming and forms the first part of a trilogy written with the full consent and support of Fleming's family. As yet, not details of a release date are available. Unfortunately, we can't offer this title for sale as the manufacturer has decided not to release it in the UK at this time. As it's no longer being released by the manufacturer we've cancelled it from your order and you haven't been charged for it. To use this service, simply enter your e-mail address in the "Alert Me" box on the right side of the product information page and click "Sign up". David Tennant was the surprise guest at Absolute Radio DJ Christian O'Connell's live show, the Beer And Cake Club earlier this evening. David joined Christian and Breakfast Show regulars Maggie Doyle, Richie and Bails in front of a 400-strong audience at London's Leicester Square Theatre for an evening of jokes and music. Also on the bill was Carol Decker, performing with her band T'Pau. "So special guest tonight was David Tennant who was tipsy and on great form! Thanks to you if you gave up a night to come see us this year"
"So much at #beersandcake8 the last for a while :( @caroldecker was amazing! 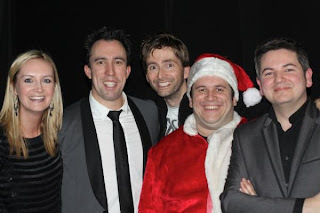 And David Tennant was our secret special guest. That's Showbiz!" The Absolute Radio Facebook page rounded off the night by saying that clips from the show would be played on the Breakfast Show in the morning. Hot on the heels of the news that Much Ado About Nothing is to have its hotly anticipated DVD release, it is revealed today that the play scooped no less than seven BroadwayWorld UK 2011 Awards! The awards, which were announced today, were voted on by tens of thousands of theatregoers. 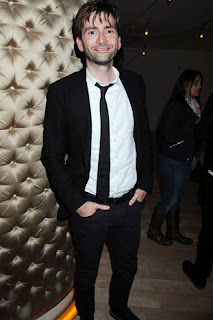 David Tennant and Catherine Tate were honoured for the roles of Benedick and Beatrice respectively, while director Josie Rourke and rising star Tom Bateman (Claudio) were also recognised. 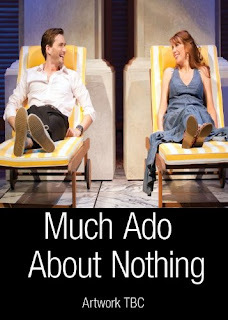 At last the news that everyone has all been waiting for: Much Ado About Nothing is to be released on DVD. 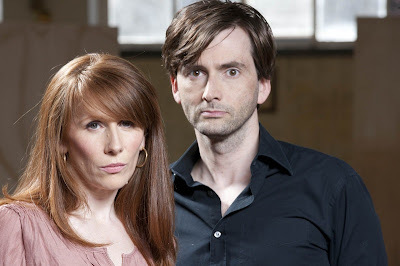 The play, starring David Tennant and Catherine Tate was the theatre sensation of the summer for many. It was taped by Digital Theatre during the last week of its run at Wyndham's Theatre and since then there has been much speculation about whether it would eventually appear as a digital download or as a DVD. David hinted the latter to fans at the Entertainment Media Show in October. The Region 2 DVD will be released by 2entertain on the 6th February 2012. Pre-orders can be placed here. David Tennant appeared briefly on CBBC’s chidren’s news magazine show Newsround earlier today. In a short interview he answered questions about what he liked about Christmas (the great TV), his best ever present (it was an Astro Wars game) and Christmas dinner (he loves the full works). 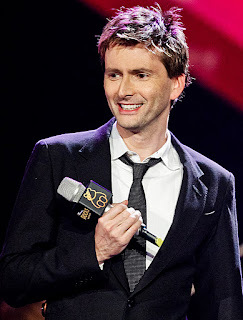 David also mentioned that his favourite Christmas song is ‘White Wine In The Sun’ by Tim Minchin. The interview was recorded by Newsround presenter Joe Tidy, who spent a day on the Nativity 2 set in Stratford-upon-Avon about two weeks ago. Interviews about the making of the film are not due to be shown on Newsround until November 2012. 'White Wine In The Sun' over the Christmas period will go to benefit the National Autistic Society. It can be purchased from iTunes here. 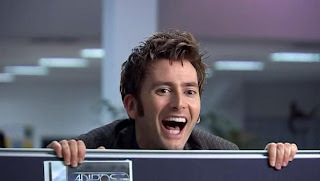 David Tennant has been confirmed as a guest on the next Nerdist TV Special hosted by Chris Hardwick on BBC America. Rumours of his appearance surfaced yesterday when an audience member at the Nerdist Live Podcast even in Northampton, MA tweeted that Hardwick had told her personally that he would soon be flying to the UK to interview David for the show. Hardwick has now confirmed the appearance via his Twitter feed (@nerdist) and on his website here. Whether David's interview will be recorded or whether he will be a live guest is still not stated. However, Hardwick is well known as a Doctor Who fan and Matt Smith appeared on his last Nerdist TV Special. Other confirmed guests for the new show which tapes on Sunday 4th December are Nathan Fillion, Kumail Nanjiani, Wil Wheaton and Simon Pegg. The show will be broadcast on BBC America on Christmas Eve at 9pm Eastern time / 8pm Central, although check local cable listings. Best Actor in a Play - David Tennant – Much Ado About Nothing at Wyndham’sBest Shakespearean Production - Much Ado About Nothing – at Wyndham’sThe OAKLEY CAPITAL Best Director - Josie Rourke – Much Ado About Nothing at Wyndham’sThe AKA Theatre Event of the Year - David Tennant & Catherine Tate reuniting on stage in Much Ado About NothingCatherine Tate may have missed out on a nomination for her role as Beatrice in Much Ado About Nothing, but you can still vote for her as Best Supporting Actress for Season's Greetings at the National. Filming on Nativity 2 drew to a close last night with final scenes taking place in Stratford-upon-Avon. David Tennant and Joanna Page shot scenes in the town centre, outside a shoe shop that had been redressed as a children's clothes shop. They were also seen pushing a double buggy, implying that their characters, The Petersons, may be the parents of twins. Carry David With You Wherever You Go! Headway Essex have launched a new item in their range of David Tennant products, exclusive to their online shop and just in time for Christmas. You can now purchase stylish tote bags featuring David's picture. Measuring 37 x 41 cm approximately, the bags are available in black and pink and cost just £12.48, including postage. Overseas fans can also purchase them through the store. 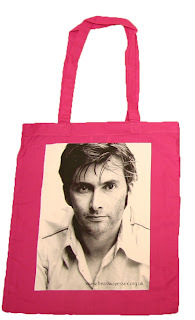 Buying these bags and other David Tennant-related product from the Headway Essex store ensures that the charity can continue to provide much needed support to individuals who have acquired a brain injury, and also to their families.